An address book is a collection of folders of addresses. This address book will contain every address within each separate folder in that address book. Keep&Share allows you to have up to five address books. When you get to the final screen for finding your address book embed code, you’ll notice that you have several options for customizing the appearance of your address book. Learn more about customizing your address book. The part of the code highlighted in yellow is the web address for your address book. This link will be unique to the address book in your account. Everything following that link is a URL parameter. 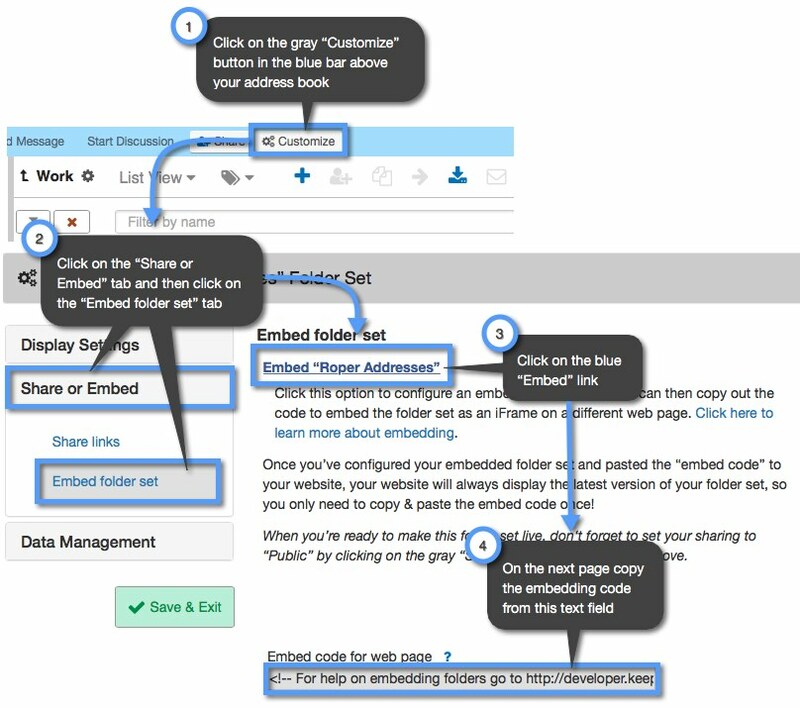 Each URL parameter is generated automatically by Keep&Share and determines the appearance of your embedded address book. Notice that this code has similar frame size, frame border, and scrolling options as the address folder embed code that you can modify as you wish.